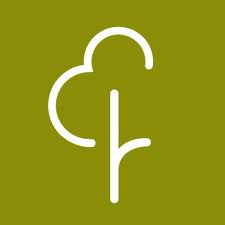 Despite it being the first day of the half term holidays yesterday, I dragged my weary backside out of bed and went and took part in my first parkrun event in a bid to help me move more and boost my weight loss. The weather had been shocking over the previous 24hours with howling wind and rain. I’d been half hoping that the rain was going to be torrential as there’s no way I was going to attempt it in that weather. But the other half of me really wanted to have a go and I found myself lying in bed yesterday morning, listening to the very strong winds and hoping that the rain held off. It did mainly: there were a couple of showers but I was already at the park by then. My main aim for the run this week was to actually do it and not be bothered if I didn’t manage to run all the way around as I’ve not run properly in several years. However, when we got there, I decided that as I’m reasonably fit and can cope with 45min spinning classes, there was no reason why I shouldn’t be able to run all the way round if I paced myself. So I went for it and was delighted with my time of 33min 12sec. What was even more surprising was that I really enjoyed it and I can’t wait for next week’s run!